Samuel Brannan was born in Saco, Maine, on 2nd March, 1819. When he was a teenager his family moved to Ohio, where he become an apprentice in the printer's trade. He joined the Church of Jesus Christ of Latter Day Saints. and moved to New York City in 1844, and began publishing The Prophet. After the assassination of Joseph Smith it was decided to move the church headquarters from Nauvoo, Illinois. Brannan volunteered to take a party of Latter Day Saints to the Mexican territory of Alta California. In February 1846 Brannan left New York City with 240 followers aboard the ship Brooklyn. After a stop in Honolulu, they landed on 31st July, 1846 at the Mexican port town of Yerba Buena. This new influx of immigrants tripled the population of the town. Brannan was acknowledged as the leader of this group and was appointed as president of the California Latter Day Saints Mission. The following month Brannan began publishing the California Star. When the group arrived in Alta California the Mexican War was taking place. General Winfield Scott organised a campaign that involved a sea borne invasion of Mexico that captured Vera Cruz and a march inland to Mexico City, which was captured on 14th September, 1846. Meanwhile General Stephen Kearny conquered New Mexico and with the support of John Fremont took control of Alta California. 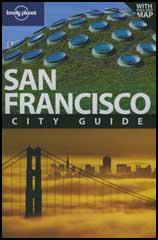 The following year Yerba Buena was renamed San Francisco. Brannan established the first school in the town and in 1847 he opened a store at Sutter's Fort. Later that year he travelled to Green River, Wyoming, to meet with Brigham Young, the head of the Church of Jesus Christ of Latter Day Saints, who was leading the first group of Mormon pioneers across the plains to the Great Basin region. Brannan failed to persuade Young to bring his party to California. Instead he started a new settlement at Salt Lake City in Utah. In 1847 John Sutter and James Marshall went into partnership in the building of a sawmill at Coloma, on the South Fork of the American River, upstream from Sutter's Fort, about 115 miles northeast of San Francisco. Another man who worked for Sutter, John Bidwell, commented that "rafting sawed lumber down the cañons of the American river was a such a wild scheme... that no other man than Sutter would have been confiding and credulous to believe it practical." On 24th January, 1848, James Marshall noticed some sparkling pebbles in the gravel bed of the tailrace his men had dug alongside the river to move the water as quickly as possible beneath the mill. He later recalled: "While we were in the habit at night of turning the water through the tail race we had dug for the purpose of widening and deepening the race, I used to go down in the morning to see what had been done by the water through the night...I picked up one or two pieces and examined them attentively; and having some general knowledge of minerals, I could not call to mind more than two which in any way resembled this, very bright and brittle; and gold, bright, yet malleable. I then tried it between two rocks, and found that it could be beaten into a different shape, but not broken." That night John Sutter recorded in his diary: "Marshall arrived in the evening, it was raining very heavy, but he told me he came on important business. After we was alone in a private room he showed me the first specimens of gold, that is he was not certain if it was gold or not, but he thought it might be; immediately I made the proof and found that it was gold. I told him even that most of all is 23 carat gold. He wished that I should come up with him immediately, but I told him that I have to give first my orders to the people in all my factories and shops." Marshall and Sutter attempted to keep the discovery a secret. However, when Brannan heard from one of Sutter's workers about the gold, he decided that he would use his newspaper to break the story. 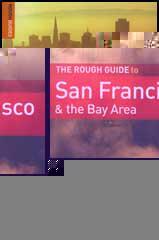 The initial reaction was for most of the adults in San Francisco to leave the town in order to become gold prospectors. Within weeks, the town's population shrank to 200 and Brannan's newspaper was forced to close. Brannan now turned his attention to the store he had in Sutter's Fort. He purchased every available shovel, pick and pan in California. In the next seventy days he sold $36,000 in equipment (about $950,000 in today's money). Brannan's equipment was expensive because he was imposing a special tax for the Church of Jesus Christ of Latter Day Saints. When Brigham Young heard about this he sent a messenger to collect the money. It has been claimed that Brannan replied: "You go back and tell Brigham Young that I'll give up the Lord's money when he sends me a receipt signed by the Lord." In 1849 over 100,000 people had arrived in search of gold. During the next few years thousands more arrived. The output of gold rose from $5 million in 1848 to $40 million in 1849 and $55 million in 1851. Brannan was the great beneficiary of this new found wealth. Prices increased rapidly and during this period his store had a turnover of $150,000 a month (almost $4 million in today's money). Another consequence of the Gold Rush was a large increase in crime. One historian, John Boessenecker, the author of Badge and Buckshot: Lawlessness in Old California (1988) has argued that between 1849 and 1856 San Francisco had a average murder-rate of 49 per 100,000. Brannan responded to this by forming the San Francisco Committee of Vigilance, an unofficial police-force. Brannan was later accused of being a member of a group who killed an innocent man. As a result he was disfellowshipped from the Church of Jesus Christ of Latter Day Saints. Brannan was now the richest man in San Francisco. He invested this money in land, banks, railroads and telegraph companies in California. In 1868 Brannan became one of the main investors in the Robinson Trust, that purchased and initiated development in Los Angeles County. In 1872 Brannan's wife divorced him. The judge ruled that his wife was entitled to half of of his wealth, payable in cash. As the vast majority of Brannan's holdings were in real estate, he had to liquidate the properties to pay the full divorce settlement. His investments in property and railways proved to be disastrous. He decided to move to San Diego and purchased large areas of land in Mexico. This also ended in failure. 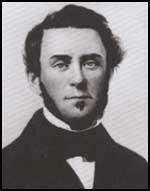 Samuel Brannan died on 14th May, 1889, in Escondido, California. He did not have enough money left in his bank account to pay for his funeral.